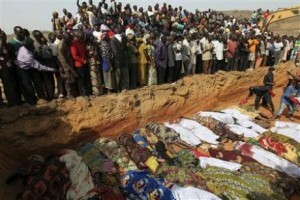 Recent attacks on the group by Nigerian security forces dealt Boko Haram a deadly setback, but not before more than 500 Christians were killed by the group. These Christians joined countless of the brethren worldwide as victims of radical Islamic intolerance – an intolerance Western media seems uninterested in. Ali suggests that this “reticence” is due to a variety of factors. One of them is a fear of “provoking additional violence,” which, if correct, is perverse: It’s like telling a person being mugged that you would like to help, but you are afraid that his attacker will only get even angrier. Another is fear of being accused of “Islamophobia.” This is even more perverse. Now we respect the majority of Muslims who want to live at peace, but what’s at play here are radical groups spreading terror in the name of Islam. And Islamic nations should join us in denouncing the violence. The sad fact is that the West along with many Muslim states has turned a blind eye to what is happening to Christian minorities in the Islamic world. Hirsi Ali and Newsweek have reminded us that what’s going on here isn’t reticence but the most shameful kind of submission that only creates more victims.